To advance its ambitious environmental agenda, Tufts will create a sustainability investment fund and build a new energy plant on its Medford/Somerville campus that is expected to reduce greenhouse gas emissions by 20 percent. The new Tufts University Sustainability Fund will give donors the option of designating that their endowment gifts be invested in a way that acknowledges the importance of environmental, social and governance (ESG) factors. Tufts will launch the fund with seed funding from the university. The $36 million energy plant will replace a 60-year-old central heating plant and will pay for itself in approximately a dozen years through anticipated energy savings. It will take advantage of the latest high-efficiency cogeneration technologies, which use a single fuel source to generate heat and electricity on site. Thermal energy for heating that otherwise would be wasted is captured to produce electricity. “Sustainability is deeply ingrained in our campus culture,” Tufts President Anthony P. Monaco said. April 2013 to examine the university’s role in mitigating climate change. 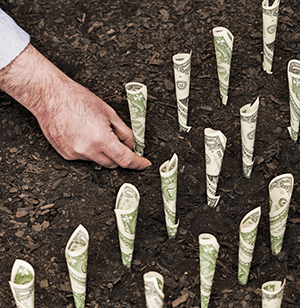 ESG investing is relatively new. “The sustainability fund gives us an opportunity to learn more about the feasibility and effectiveness of these kinds of investments,” Monaco said. Ideally, income generated by the fund will support sustainability programming in both academics and operations, he said. The fund will be part of the university endowment, which stood at $1.6 billion as of June 30, and thus will be guided by the Tufts investment policy. It is anticipated that the sustainability fund will be available as an option for donors early in 2015, said Executive Vice President Patricia Campbell. The first step, she said, will be to appoint a small advisory committee that will help define what constitutes an environmentally supportable or socially responsible investment. A member of the Trustee Investment Committee will chair the advisory group, which will include representation from the administration, faculty and student body. The advisors will provide input to the Investment Committee, which has final decision-making authority over all Tufts’ investments. The university does not invest in individual companies. Instead, it uses commingled or pooled funds—mutual funds are one example—in which multiple investors hold a piece of an investment portfolio in proportion to the value of their individual investments.